I'm a big believer in the idea that Montessori is for everyone. It's a philosophy which is ultimately meant to make the world a better place, originally inspired by Maria Montessori's observations of children who were living in poverty. Unfortunately, Western public education systems are slow to adapt and Montessori has been mostly privately-funded system in North American — meaning that the schools are often only available to those who can afford to pay out of pocket. 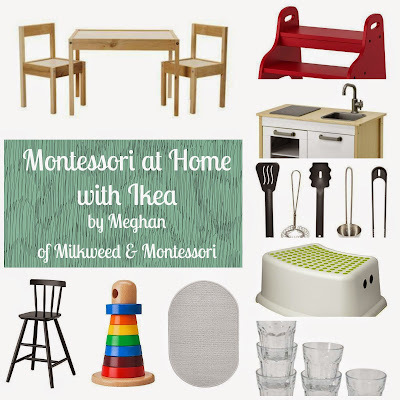 One way to access Montessori is to incorporate it in the home. Whether you work from home or away from home, there are ways to incorporate independence, freedom and grace into the family's routine. 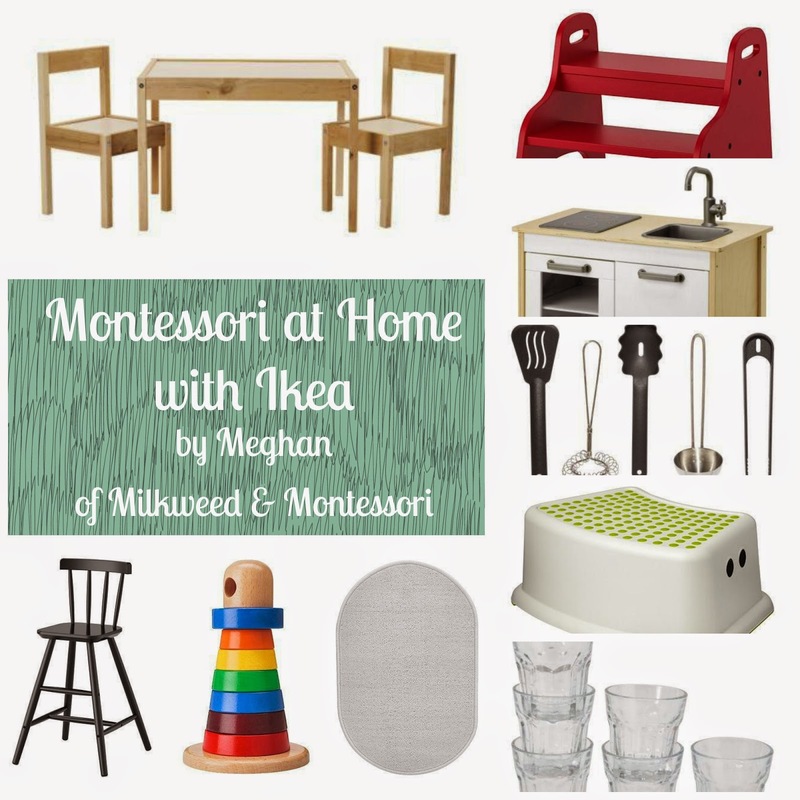 Montessori materials don't have to be expensive (public educators, listen up). We've had great success with making our home work for our two year-old son Jasper — in part with accessible and affordable Ikea materials. All this, and meatballs, too! 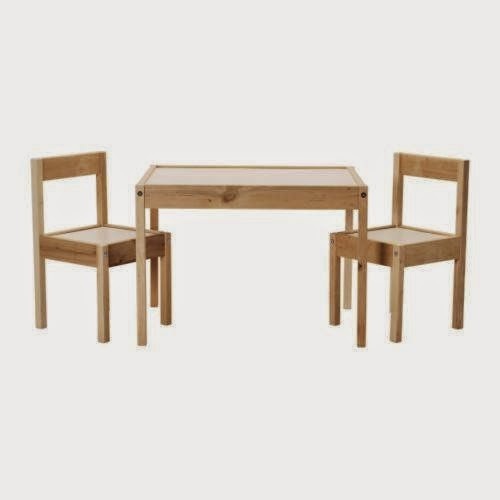 LATT weaning table and chairs. For under $25 bucks, we bought a mostly-solid wood table and chairs, and cut about 3 1/2 inches off all of the legs. Bonus: after making the cuts, David sanded down the leftover pieces to make some wooden blocks! We use this table to eating, creating art and work of all kinds. I keep a little adult-sized stool under the table as well to allow Jasper to welcome adults to his table. AGAM junior stool. We want Jasper to feel independent in being able to join us at the dining table, and free to leave. We also want him to be safe when he's sitting at a height. 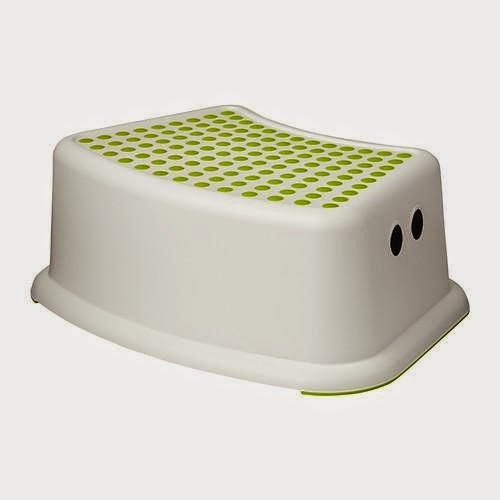 We started out using a strap-on booster, and now that he's a confident climber and has the strength and balance to sit with minimal support, we're moving on to a junior stool that gets him to the height required. 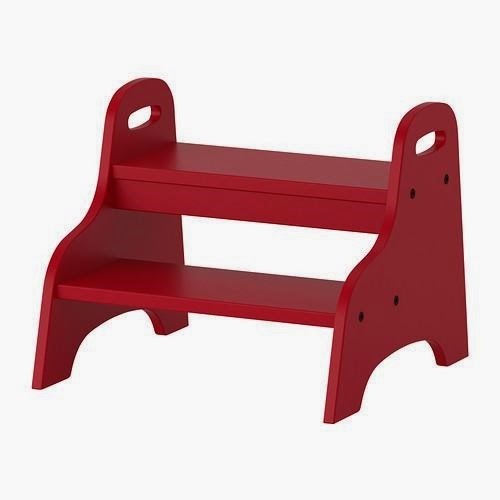 FORSIKTIG and TROGEN step stools. If you have kids in your home, you probably have at least one step stool as well. The Montessori paradigm asks us to think about the world from the child's point of view. If you can't bring something (a sink, for instance) to the child, you must bring the child to it. 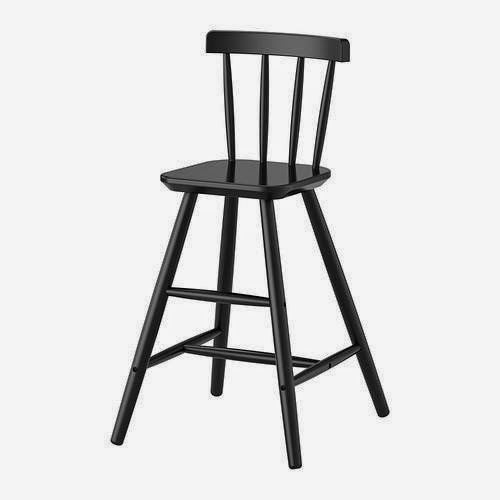 Places to think about using a stool: to climb on to the toilet, in front of the bathroom sink, beside a bedroom door to reach a light switch, as a little bench boots & shoes on and off. And of course, with its handy side-handles, the Trogen makes excellent material for lugging around during the Period of Maximum Effort (you'll know it when you see it). POKAL snaps weaning glass. 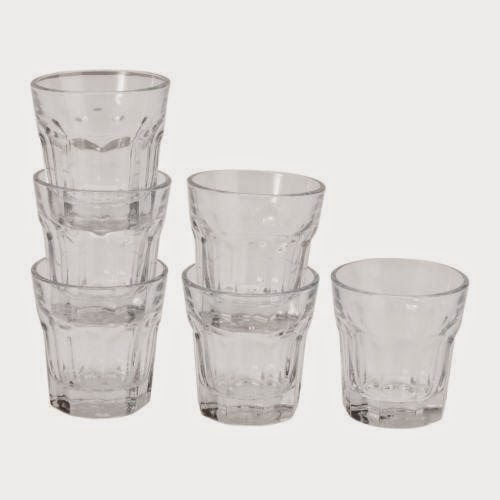 These glasses are the perfect shape and size for a weaning glass, tiny enough for even very young toddlers and babies, durable and they cost $2.99 for 6. Can't beat 'em. 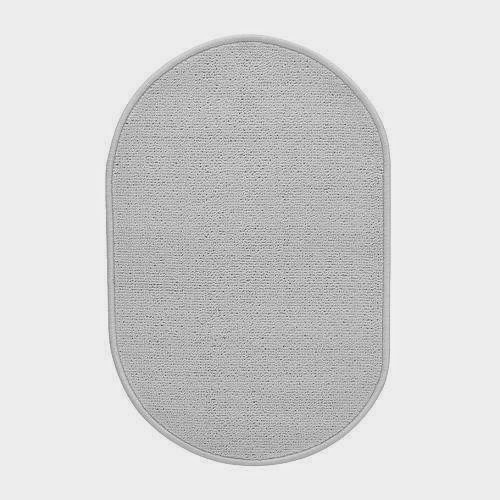 NACKTEN bath/Montessori work mat. It's cheap, it's lightweight, and it rolls easily. Over the past few months, Jasper has really been enjoying getting out his mat to use with some materials. MULA stacking rings. 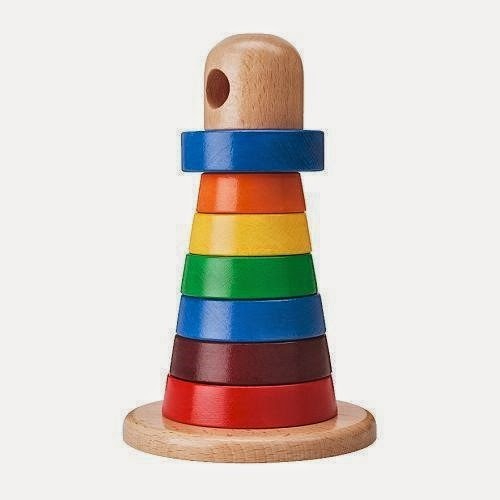 The Mula series is a great collection of wooden toys for babies and toddlers, and the MULA stacker was in heavy rotation at our place for almost a year. It's amazing to watch a child's development through how they engage with the same material over time. 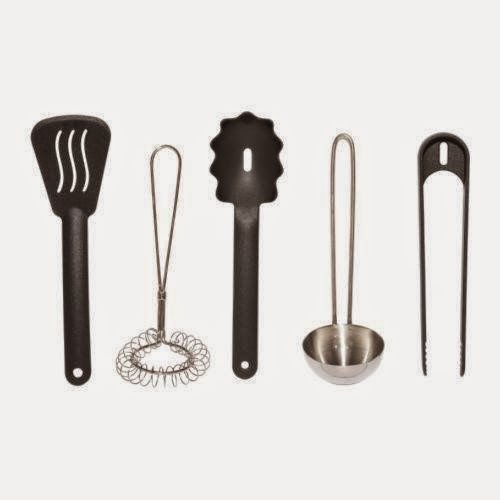 DUKTIG utensil set. Jasper has a wonderful child-sized kitchen which my Dad built for him as a Christmas present, and which he loves to play with, but we use the durable, stainless-steel parts of this set in the "big kitchen," where Jasper can use the perfectly-sized whisk to scramble an egg for breakfast. 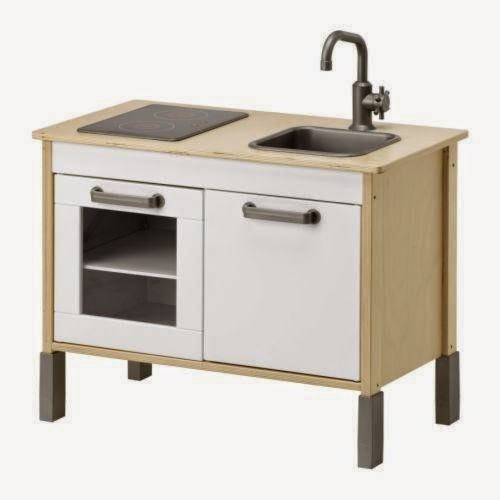 DUKTIG mini-kitchen. We don't actually have this kitchen in our home, but I know it's a well-loved part of many folks' child-space. Our home-built kid's kitchen includes one of the best features about the Ikea kitchen — the removable tub that makes the kitchen sink. It can be filled with water for real work like for hand- or dish-washing. 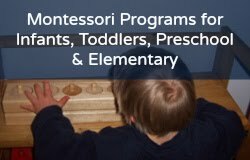 Are you looking for affordable Montessori lessons, activities, and PDFs! 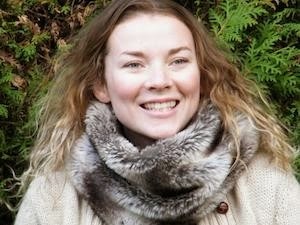 Check out Lisa Nolan's affordable online Montessori and homeschool PDFs and programs here.